Well in this post we are going to go over one of the more pervasive withdrawl conditions out there, due to the massive use of oxycodone. While this drug can be a God sent for pain management it can also be a curse for those who become addicted or abuse the drug. Why is Oxy So Addicting ? What is Oxycodone Withdrawl Like ? How long does Oxycodone Withdrawl Last ? Oxycodone withdrawal is a major problem for anyone suffering from an addiction to this drug that is trying to overcome their habit and reclaim control over their life. When you are trying to stop using a drug that you have become mentally and physically dependent upon the withdrawal symptoms can be very unpleasant at the low end, and potentially fatal at the other extreme. How much those symptoms will impact each patient is dependent upon many factors, one of the more important of those factors is how much of a habit that patient has. If the patient has a relatively light habit then chances are they won't have severe withdrawal symptoms. On the other hand if a patient is a heavy user of Oxycodone, or they have used it for a long time, then chances are the withdrawal symptoms will end being more severe. For anyone out there that doesn't understand how much of an epidemic addiction is you may be shocked to learn that about 20% of the adult population in our country has struggled with some level of substance abuse at some point in their lives. On top of that there is a growing movement to try to make Narcan, a narcotic neutralizing drug, more readily available to treat people who are suffering from an overdose. When it comes to addiction to opiates Oxycodone and Hydrodone, accounts for about 75% of those with an addiction. Of that 75% about 45% prefer Oxycodone as their drug of choice. 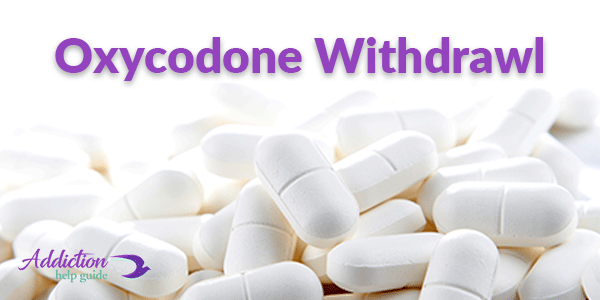 Oxycodone is a narcotic medication that is prescribed to patients that are suffering from moderate to severe pain. It is often the drug of choice that doctors will give to patients following a surgical procedure. The problem here isn't that the drug is given to patients, it's that it is often given in quantities that are higher than needed. While a patient may only need to take prescription pain medication for a few days, if they have a week long supply then they may decide to just go ahead and use it for that full week. Then maybe they go and get a refill because they are still in pain, or they resort to buying a few extra pills. The next thing they know they are a full blown addict ready, willing, and able to do just about anything to keep up with their habit. Why Is Oxycodone So Addicting And What Types Of Effects Does It Produce? When used properly Oxycodone is a potent pain medication that helps to block pain receptors in patients. The problem with using it for this purpose isn't that it helps to manage pain, the problem is that it creates a feeling of euphoria in many people who take it. At low levels it's kind of like a warm and fuzzy feeling that helps people to relax. At higher levels it produces the same effect but at a more intense level while also producing marked impairment and drowsiness. At the highest levels that drowsiness can become severe and also result in depressed breathing and a lower heart rate that could ultimately result in death. The biggest problem with Oxycodone abuse is that over time as tolerance builds people have to take more and more of the drug to get the desired results. Eventually so much of the drug has to be taken that it becomes very dangerous to do so, which is when overdose becomes a major threat. Over time as the drug is used for an extended period of time and in higher levels the body becomes accustomed to it's presence. When it is stopped abruptly an addict's body won't be able to function properly and withdrawal symptoms will usually begin to set in. Symptoms include both physical symptoms such as disruption of the nervous system, irritability, nausea, and also psychological symptoms that make a person desperately want to get the drug back into their system. The symptoms can be quite severe which often causes the person trying to quit to give in and seek relief by taking more of the drug. This can then go on to make a person's habit even more demanding causing them to continue down the path of addiction and letting their addiction run their life. Typically speaking anytime that someone decides to kick their habit and quit taking Oxycodone, or any other type of opiates, they will often experience side effects that are similar in effect to that of a really nasty case of the flu. In terms of physical symptoms it isn't uncommon for a person to suffer from debilitating headaches, nausea, fever, chills, fatigue, malaise, vomiting, stomach cramps, tremors, and a runny nose. As you can see by the list of withdrawal symptoms attempting to lower your dosage or stop your dosage altogether is going to be very unpleasant to say the least. While these are unpleasant side effects to put it mildly they are still far less intense and dangerous than some of the other side effects of Oxycodone withdrawal. Those side effects can include a depressed rate of breathing, an irregular heartbeat, and also high blood pressure. Because of the potential danger that these symptoms pose to a patient it's important that anybody trying to detox and quit using Oxycodone does so under the supervision of trained medical professionals. In addition to causing painful and possibly even dangerous physical ailments, Oxycodone withdrawal can also cause major psychological issues and symptoms that can make a person extremely uncomfortable. Because Oxycodone alters brain chemistry, and can interfere with the production of dopamine when it is stopped, it's quite common for a person who is going through withdrawal to experience intense feelings of sadness and other symptoms of depression. In extreme cases this can lead to suicidal thoughts, which is another reason that anyone attempting to kick their habit and stop using Oxycodone does so under the supervision of professionals. How Long Can I Expect Detox And Withdrawal Symptoms To Last? For anybody that has ever suffered through Oxycodone withdrawal the one thought that they will all tell you is constantly on their mind is when it's going to end. As they sit there fighting the urge to use, dealing with physical and psychological symptoms, they often focus on and obsess over each tick of the clock as they tell themselves that each moment brings them a moment closer to their misery ending. While it may seem like the suffering will never end the reality is that given sufficient time it's possible to get passed the worst of the withdrawal symptoms and then start to feel stronger and healthier. It's also important to remember that there is no need for you to suffer needlessly and you can and should take advantage of the different medications that are out there that can help to ease your symptoms. Not only will you not be forced to endure horrible Oxycodone withdrawal symptoms when you use medications to ease them, you will also increase the odds that you will be able to succeed and overcome your addiction. In terms of when you will start to feel symptoms of withdrawal they will usually start about 8 to 12 hours after you last used the drug. In terms of the intensity of the withdrawal symptoms you will generally hit your lowest point when they are their most intense around 72 hours after you have stopped taking the drug. At this point you should gradually being to improve, and after about a week the really challenging withdrawal symptoms should be largely over with. While the physical aspects of withdrawal may be over with at about the one week point you need to remain vigilant since psychological symptoms can linger on for many months. Due to the intense nature of Oxycodone withdrawal, as well as the dangers associated with those symptoms, it is essential that any patient that is trying to beat their habit is treated in an inpatient rehab facility for a period of at least 5 to 7 days instead of an outpatient rehab program. For someone that has been using Oxycodone for a long period of time, has used high doses of the drug, or has an extensive history of drug abuse, it may be necessary to stay in an inpatient treatment facility for a longer period of time. While a patient is being held and treated for Oxycodone addiction they will be monitored around the clock by a team of doctors and other medical professionals. This will include frequent checking of their vital signs as well treatment with different medications to help ease the withdrawal symptoms. 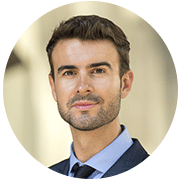 Most importantly medical detox will ensure that a patient is medically stable before releasing them, thus helping to ensure that they won't suffer any potentially dangerous side effects when they are out on their own. Because the psychological symptoms of Oxycodone withdrawal can last for a long period of time even after the physical addiction has been beaten, the chance of slipping up and relapsing is a very real one for many people. Following release from an inpatient treatment facility all patients should remember that while they may be over the worst of it there is still a definite risk that they will relapse. Because of this committing to an outpatient program that treats addiction is a great way to help improve their odds of avoiding a relapse. By simply committing to a weekly meeting, or if necessary a daily meeting someone that has recently overcome their addiction can get access to a support network that is so vital to their being able to maintain their sobriety. One of the biggest threats from someone that has successfully detoxed from Oxycodone and relapses is the risk of an overdose. This risk is especially magnified for those that were long term abusers of the drug that had built up a high tolerance. Why is this important? It's important because that higher tolerance level meant that in order to get high they were likely taking an amount of Oxycodone that would be dangerous for a normal person to use. But since the person abusing Oxycodone has a higher tolerance the danger to them is much lower than it would be for the average person. The problem here is that once someone has detoxed from Oxycodone there's a very good chance that their tolerance will drop quickly. Then when they do relapse they may feel that they still need an elevated level of the drug in order to get high. With their reduced tolerance it shouldn't be surprising that overdosing in this type of scenario is quite common. So exactly how big of a risk is the possibility of a drug overdose? Well if you are looking for hard figures to back up the dangers just take a moment to think about the fact that it is estimated that up to 15,000 Americans die each year from drug overdoses. On top of that there are approximately another 175,000 plus that seek out treatment at an emergency room, or are brought to an emergency room by friends, family or paramedics while suffering from the effects of an overdose. The numbers should be sobering, and they should also help to highlight the dangers of drug addiction. If you are an addict and you don't want to end up as just another statistic then it's going to be up to you to do something about it. You have to want to change, and then you have to follow up that desire for change with action and commitment on your part. For the average person the pleasant and euphoric feelings that they experience when using Oxycodone following an injury, illness, or surgery will not push them over the edge and cause them to become an addict. But for those more susceptible to addiction it can be truly frightening how quickly proper use of Oxycodone can turn into abuse. Maybe you take it a little longer than you should. Maybe you like the warm and fuzzy feeling it gives you so you lie to your doctor and tell him that you are still experiencing pain and need a refill. Then the next thing you know you are looking in the mirror in disgust as you realize that you have become something that you never imagined you would be. If you are an addict, and you want to change for the better, then start by seeking professional help to deal with your addiction and the Oxycodone withdrawal symptoms that you will experience as you detox.